Our Immersion Recovery Center team has chosen to unite again and run in honor of those who have lost their lives to drug and alcohol addiction. Immersion Recovery Center is partnering with The Herren Project, a non-profit addiction recovery foundation, to run in the 2018 New Balance Falmouth Road Race and raise awareness for the disease of addiction. This is the second year members of the Immersion team will participate in the Falmouth Road Race, an event that is personal for members of the Immersion family. Many team members have waged a personal battle with addiction and received a second chance, thanks to the treatment they received. The race offers an opportunity to pay it forward, raise awareness and have fun. “Our Immersion Recovery Center team has chosen to unite again and run in honor of those who have lost their lives to drug and alcohol addiction,” said Justin Williams, Chief Financial Officer at Immersion Recovery Center. “As we continue to raise awareness for this disease, we aim to provide hope and healing to the lives we touch so that they, in turn, will spearhead the success stories of additional addicts in need,” Williams said. Immersion is partnering with The Herren Project, a non-profit foundation based in Portsmouth, R.I., that provides recovery navigation, support and wellness education to increase awareness and treatment of substance use disorders. Last year, the Immersion team raised $10,295 for The Herren Project, exceeding their original goal of $8,000. “With a charity raise goal of $15,000, this effort aims to provide education and treatment services to those who desperately need the help,” Williams said. The 2018 New Balance Falmouth Road Race will be held Sunday, Aug. 19, 2018 at 9 a.m. in Falmouth, Mass. The quintessential Cape Cod “fun run,” now in its 45th year, regularly draws more than 11,000 recreational and elite runners who traverse the 7-mile seaside course along Martha’s Vineyard Sound. If you are interested in making a donation to Team Immersion Recovery Center, please visit http://www.crowdrise.com/teamimmersion-recovery-center. For more information about Team Immersion, please contact Justin Williams at (561) 419-3349. 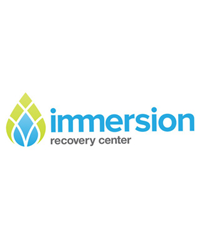 Immersion Recovery Center is a residential addiction treatment center for men and women in Delray Beach, Fla. Clients take a pragmatic, daily approach to integrating the 12-step tenets into their lives and engage in a sophisticated curriculum that includes both dynamic clinical therapies and alternative modalities. As one of the only true immersion recovery programs in the United States, the center uses this fusion concept to help clients recover from alcoholism or drug addiction and deliver highly successful outcomes. For more information, visit http://www.immersionrecovery.com.